Though we tend to think more about where we are going to eat dinner (or tea if you’re Northern), lunch out can be just the thing to set you up for a relaxing afternoon ambling about the shops or sitting in the pub with a pint. But we are not talking about the average cheese sandwich here. No, indeed. The best places Nottingham has to offer will bring you far more in terms of delight and wonder than that! And to help you search out the best, we’ve curated this top five list. Cruising an unexpected line between European cafe and bar, this is quite possibly one of the best vegetarian and vegan places to eat in the country. With a wide-ranging menu covering everything from your basic omelette to a burrito topped with nuts, fresh chilli, cocoa and cheese, everyone is bound to find something they enjoy. The gallery wall space is used to feature a different artist each month and they also host an open mic night that’s usually a ton of fun. 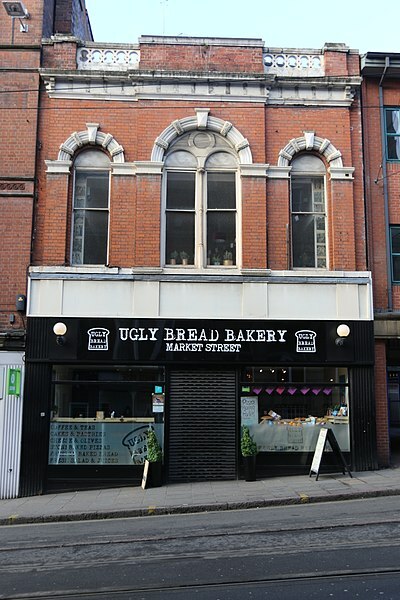 There are actually two Ugly Bread Bakeries in Nottingham - the other one is on Market Street - but this one is a lot more accessible for families with little kids and disabled people. Plus, if you are working in town, the function room upstairs at this bakery is the ideal place to settle in with your laptop, a cappuccino and a stuffed focaccia. They also do a fabulous pizza here, but the real treat on offer is the cannoli. This Italian delicacy heralds your taste buds all the way from Sicily and is akin to a fried pastry with a creamy ricotta filling. Utter joy. Street food is taking off in Britain and as a nation of foodies, we have rightly embraced the joys of easy international bites in our cities. Zaap Thai takes this trend to new heights, bringing some of the best Thai street food to the people of Leeds, Newcastle and Nottingham. 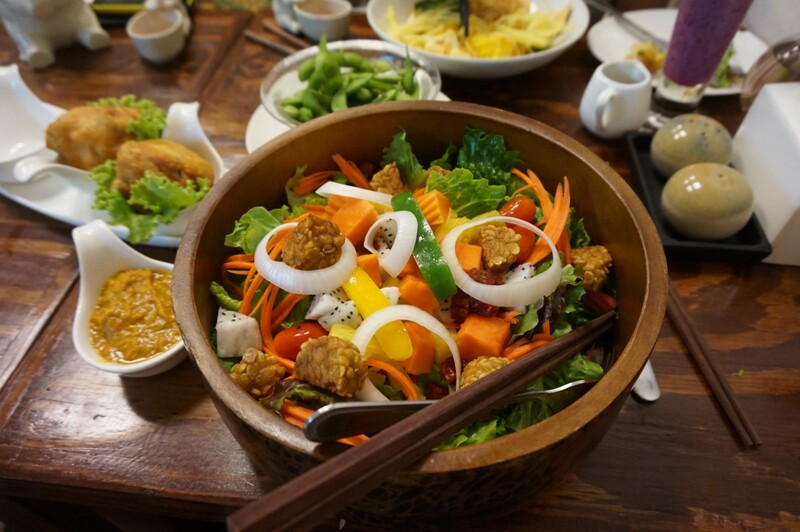 Though the weather in the UK is far from the tropics of Bangkok, you will forget where you are almost as soon as you enter this vibrant restaurant. Hop into a tuk tuk to peruse their vast menu, or just grab a platter if you really can’t decide! It is all worth trying at least once. If craft beer is your thing, then look no further than Junkyard. Capturing some of the laid-back feeling of North California, there are draft brews, bottles and cans aplenty with burgers and dogs to suitably line your stomach. But that’s not all. Bao Buns are also on offer with a variety of fillings and the sides menu alone could satisfy a small party of adventurous eaters; with kimchi rubbing shoulders with the likes of IPA mac ‘n’ cheese balls and fried aloo tikki patties. Junkyard combines a mishmash of epic flavours and themes, but in the best possible way. 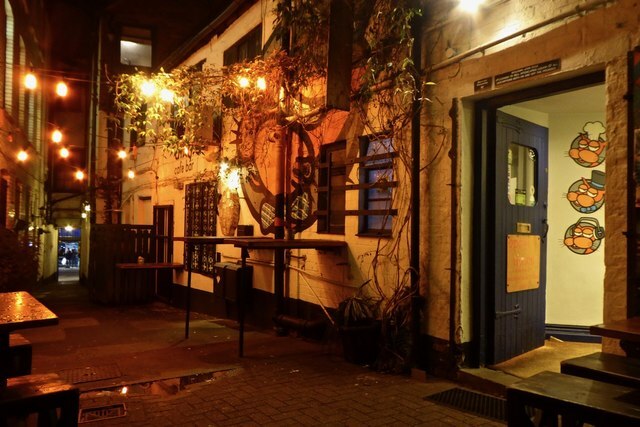 If you are after some classic British grub, then this is the pub for you. But don’t assume the setting’s as traditional. No indeed. 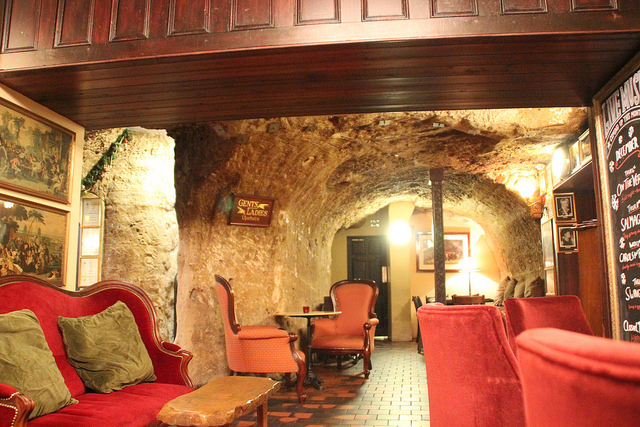 This is a pub set into a Saxon cave complete with a piano snug and a garden conservatory. The mind truly boggles at the strangeness of this combination but a pint of their specially brewed Round Heart real ale or a fine wine from the cellar will help you out. Their lunch menu is small but covers everything from lamb shank to a classic fish and chips with plenty of veggie and vegan options on request. 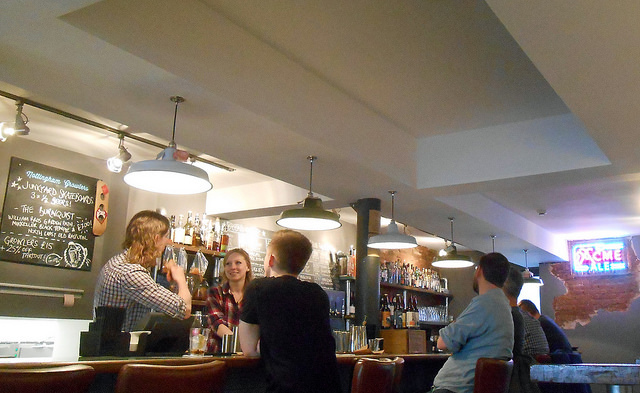 So next time you are visiting Jurys Inn Nottingham or it's national make lunch count day (no excuses), you will have to try one of these fabulous venues out. The only question is which one will you try first?